This volume derives from a conference on New Studies in Neurobehavioral Evolution, convened as a tribute to the life work and influence of Wally Welker, an outstanding student of the evolutionary relationships of specializations of brains and behavior of mammals. Studies in fields of Welker’s major contributions are presented, including the importance of observing developmental aspects of brain-behavior relationships; documentation of the elaboration of distinctive sensorimotor circuits to enable behavioral adaptations to, and manipulations of, novel environments; morphological correlates of advanced cerebral circuitry; and the invention, as a result of evolutionary processes, of more complex levels of perception and behavioral exploitation of distinctive environments, such as emergence in evolution of what we know as an autonomous mind, along with other intellectual capabilities. These contemporary studies have been conducted by Welker’s colleagues, his and their students, students of the students, and others from different backgrounds carrying out related investigations. 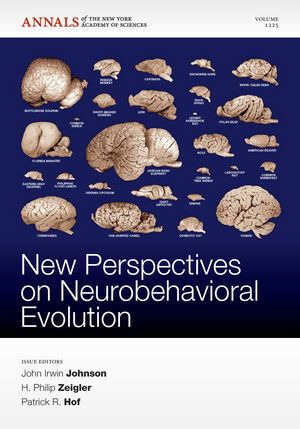 John Irwin Johnson and H. Philip Zeigler are the authors of New Perspectives on Neurobehavioral Evolution, Volume 1225, published by Wiley. How do barrels form in somatosensory cortex?